As the name suggests this is a large, white bird. 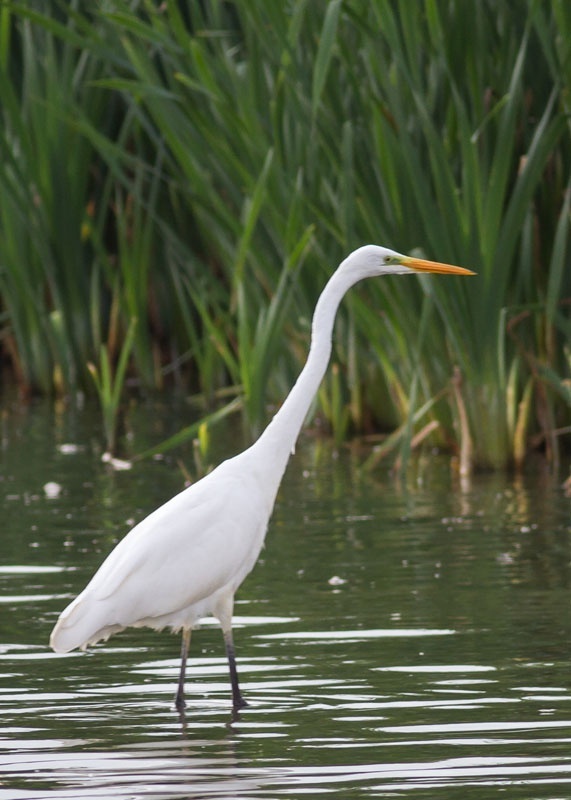 Great White Egrets can look similar to Little Egrets, but they are much larger - the same size as the familiar Grey Heron. 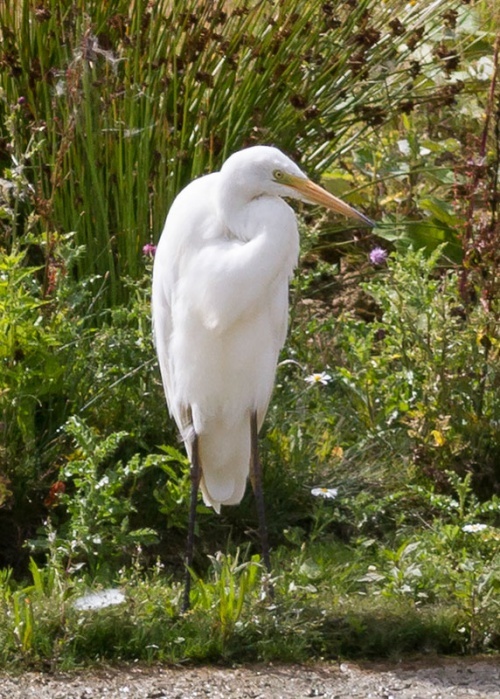 Other identification features to look out for include black feet (not yellow), yellow beak (in juvenile and non-breeding plumage), and a different fishing technique like that of the Grey Heron. 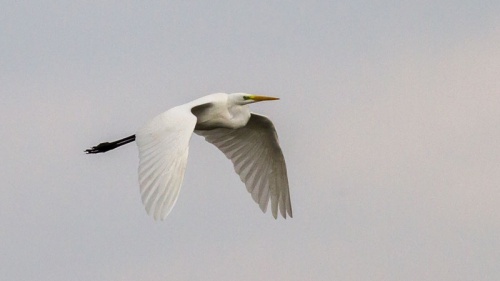 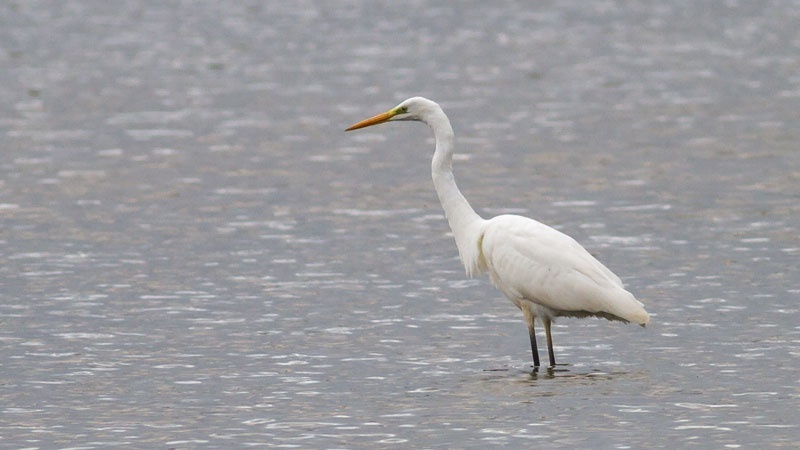 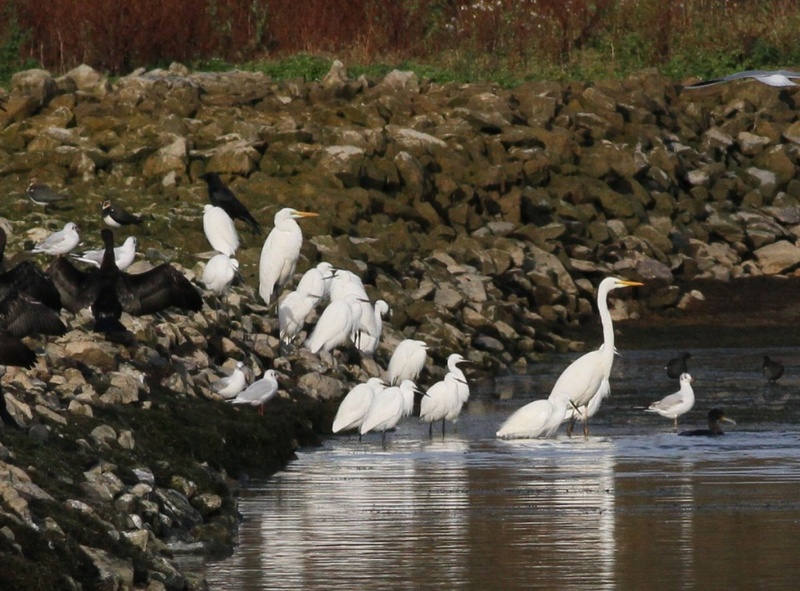 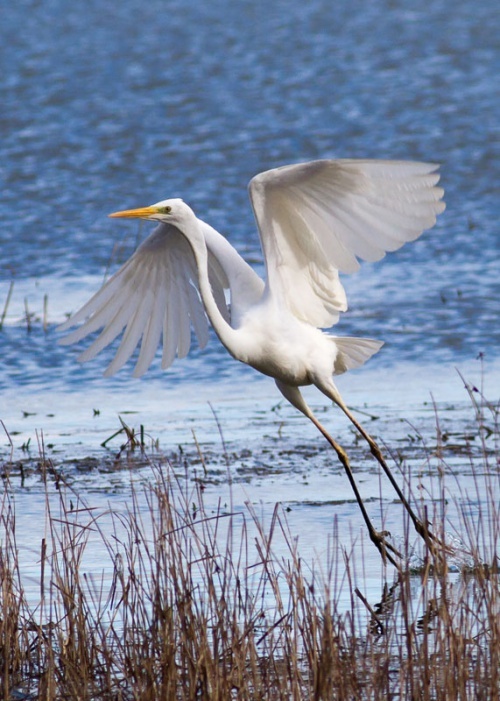 Great White Egrets favour all kinds of wetland habitats - even farmland ditches can attract them. Diet consists of fish, insects and frogs, caught by spearing with its long, sharp beak. 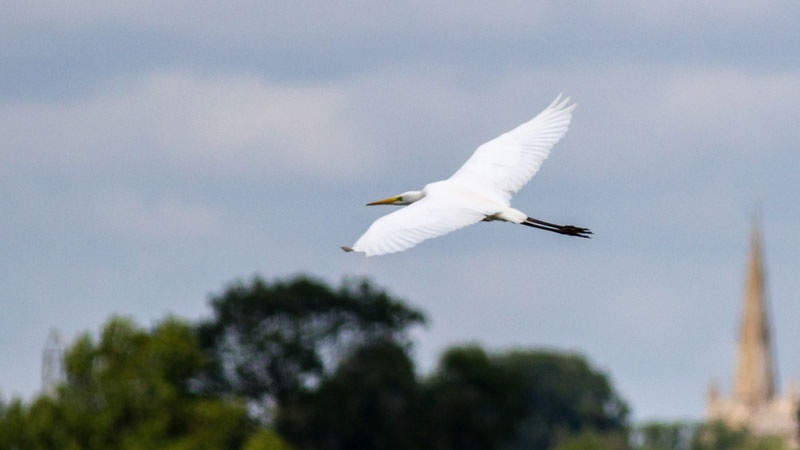 Expanding populations in Europe mean that this species is now seen more frequently in the UK - it can turn up in almost part of the country, with most in south-east England and East Anglia. An infrequent vagrant from Europe it is uncommon in Leicestershire and Rutland. 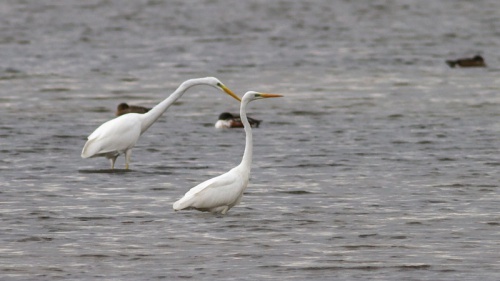 First recorded at Saddington Reservoir in 1988, there have been occasional records since.